Many techniques have been tried in the battle against Somali pirates. Pulling out all stops, the Scottish merchant navy has brought out the heaviest weapon in the Western world's arsenal - Britney Spears. Not every member of the merchant navy can be Captain Phillips, and so as Somali pirates continue to be a maritime threat, protective forces have turned to a new force of weaponry: Britney Spears. Navy members use the pop tunes, which are played at extremely high volume, when initial warnings fail to have an effect on the pirates. “The speakers can be aimed solely at the pirates so as not to disturb the crew,” Owens said, noting that pirates will often wear earplugs to avoid hearing the songs. 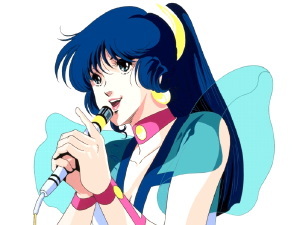 Fans of Robotech (1985) may be thinking about Lynn Minmay, whose music defeated an army. Dolza, who was smiling just a few moments earlier, suddenly wears a look of shock and fear as he realizes what is about to happen. Looking at his computer monitor, he watches Minmay singing "We will win," which is the last thing he sees before he is vaporized. The planetoid base explodes with enough force to destroy the rest of the Zentraedi Grand fleet. Via National Post; Thanks to BajaB for the tip on this story.